Guests can enjoy a complimentary breakfast. Wireless Internet access is complimentary. For a surcharge, a roundtrip airport shuttle (available 24 hours) is offered to guests. Complimentary self parking is available on site. A Vacation Paradise at Quail Ridge B&B has designated areas for smoking. 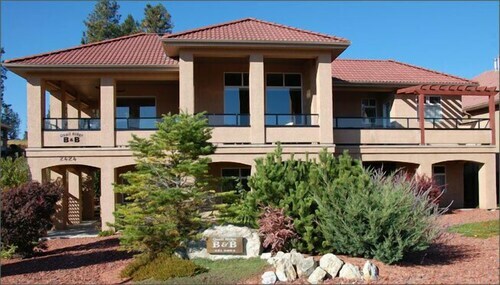 Located in Central Okanagan, this bed & breakfast is 0.9 mi (1.5 km) from Okanagan Golf Club and 2.1 mi (3.4 km) from UBC-Okanagan. Shadow Ridge Golf Club and Kelowna Springs Golf Club are also within 6 mi (10 km). Along with a spa tub, this bed & breakfast has free breakfast and free self parking. WiFi in public areas is free. All 2 rooms have 2 bedrooms and feature free WiFi. Guests will also find kitchenettes, furnished patios, and coffee makers. A Vacation Paradise at Quail Ridge B&B offers 2 accommodations with coffee/tea makers and hair dryers. Rooms open to furnished patios. Accommodations at this 3-star bed & breakfast have kitchenettes. Bathrooms include shower/tub combinations. 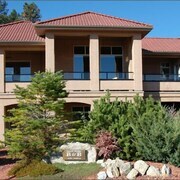 This Kelowna bed & breakfast provides complimentary wireless Internet access. Cribs (infant beds) are available for CAD 10 per stay. Flights from Ontario Intl. to Pearson Intl. Flights from Kahului HI to Calgary Intl. Flights from Oakland Intl. to Pearson Intl.